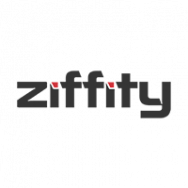 Ziffity is a new age Digital agency focused on serving the connected world using Technology, Design and e-Marketing services. Our solutions include Experience Design [Web/Mobile], B2B/B2C eCommerce, Virtual & Augmented reality, AI Chat Bots, Predictive Analytics, Big data, Product re-engineering, Managed Services, DevOps and Brand activation through Digital Marketing. Our goal, culture, process, thinking and people are all aligned with providing fast-paced Digital Transformation solutions. These solutions are driven by our deep knowledge, proprietary tools and passion to make a difference for our customers.